It probably has been said ten million times before but it’s worth saying again… Backup always leads to recovery and recovery should be easy. 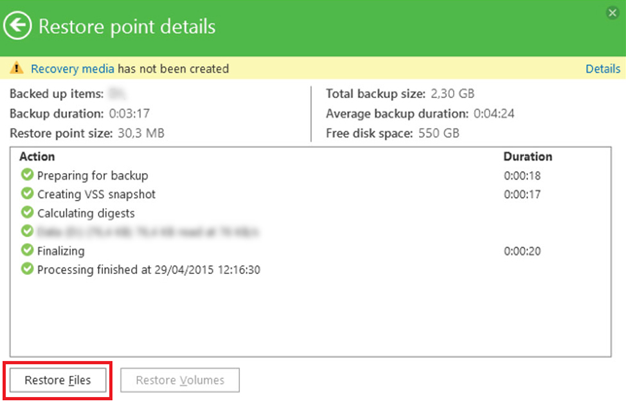 In previous posts we looked at the integration of Veeam Backup & Replication with Veeam Endpoint Backup FREE and already gave you some recovery options that you get with the integration. Today we are going to review the recovery options available for any end user. Before we dive in to this, keep in mind that recovery options highly rely on the backup mode you used. 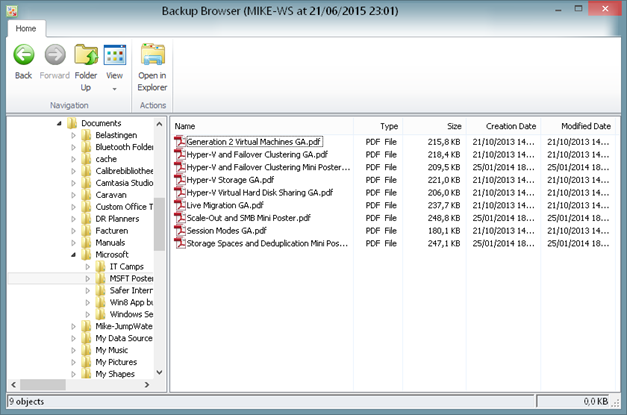 For example, it not possible to recover the entire computer from your personal files backup. This option you can choose no matter what backup mode you have selected. 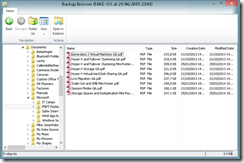 Even if you use entire PC backup, you don’t need to restore everything to get a simple file back. 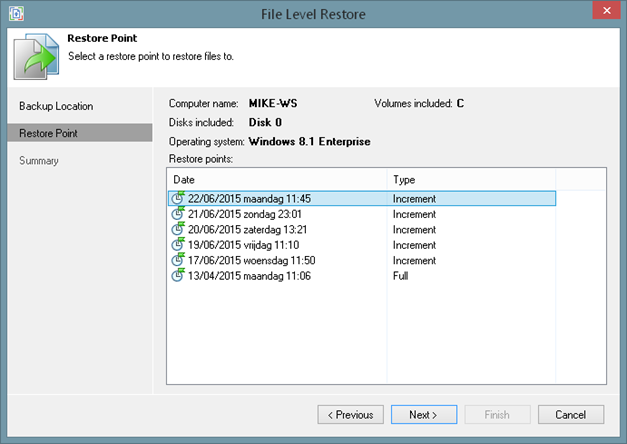 For those of you who worked already with Veeam Backup & Replication, this restore will look very familiar. The wizard approach is very handy when you need to recover files from other PCs backups: you can actually go one step back (by pressing the previous button) and open the Backup Location wizard’s step where you can manually specify the backup file location. The third method is to open Veeam Endpoint Backup Control Panel and click the needed bar on the chart Once done, you will see the details of the specific backup associated with this bar and what’s more important you can start a restore directly from this screen. By the way as you can see on the screenshot below my restore point does not contain any volumes thus volume level recovery is not possible. Once you passed all the wizards steps and clicked Open or in case you launched File Level Recovery directly from Control Panel the backup file is mounted to the operating system under C:\VeeamFLR so you can browse thru the backup browser or thru the regular Windows browser. Overwrite: If you use this option we will restore the file to the original location and if that file still exists at that location, we will overwrite it. Keep: When you select this option, the file will also be restored to the same location, but we will add Restored – in front of the filename. That means you can retrieve the file easily AND we won’t overwrite the original one if it is still present. Last but not least, restoring multiple files or folders at once is perfectly possible by using the known multi-select options. 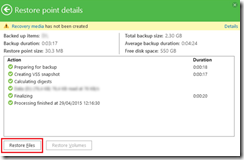 In this post we looked at the file-level restore capabilities of Veeam Endpoint Backup FREE. We still need to look at volume-level recoveries and bare metal recoveries but that will be for later posts. 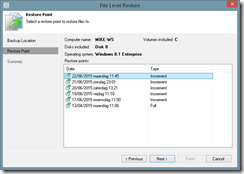 File-level recoveries is very powerful and gives you multiple restore capabilities from overwriting existing files / folders with previous versions to copy the files / folders to different locations and more.